Add a CACS shortcut to your homescreen for quick access! 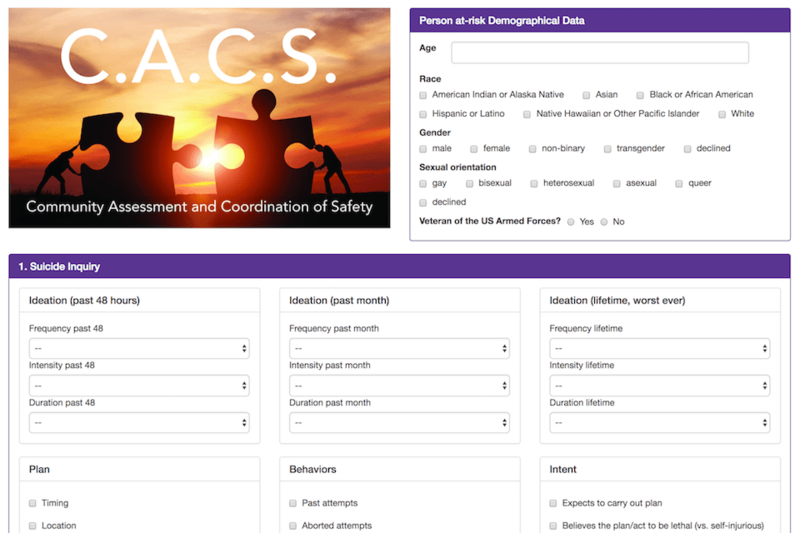 This risk assessment has been adapted from well known, evidenced-based suicide assessments including SAMHSA's SAFE-T assessment and The Columbia-Suicide Severity Rating Scale (C-SSRS) to support persons at risk of suicide. An algorithm is used to determine level of risk for consideration in next steps of safety and treatment planning. 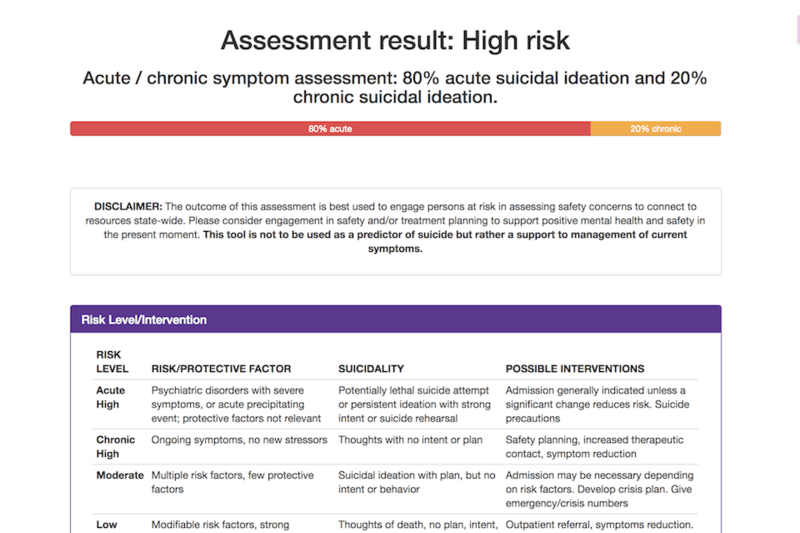 Risk results reflect data entered when engaging a person at risk of suicide and should be considered a secondary tool to clinical judgment. 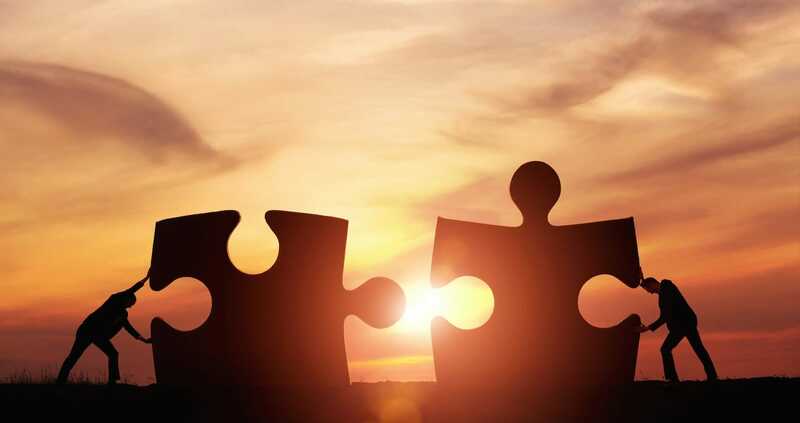 Connect individuals to valuable community resources. Resources reflect mental health support, hospitals, substance use programs, shelters, Medicaid providers and low-cost services state-wide. 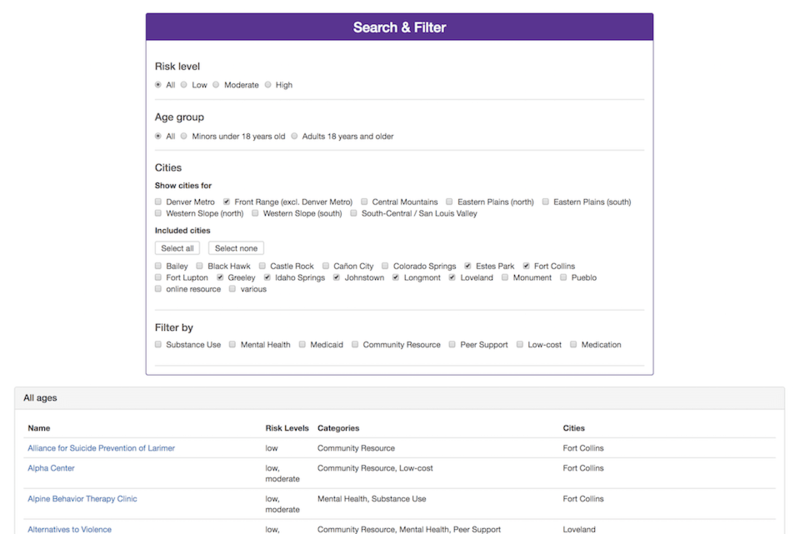 We initially collaborated with Colorado Crisis Services (formerly Rocky Mountain Crisis Partners) to maintain 1,020 resources reflecting current information with updates last on 04-02-2019. 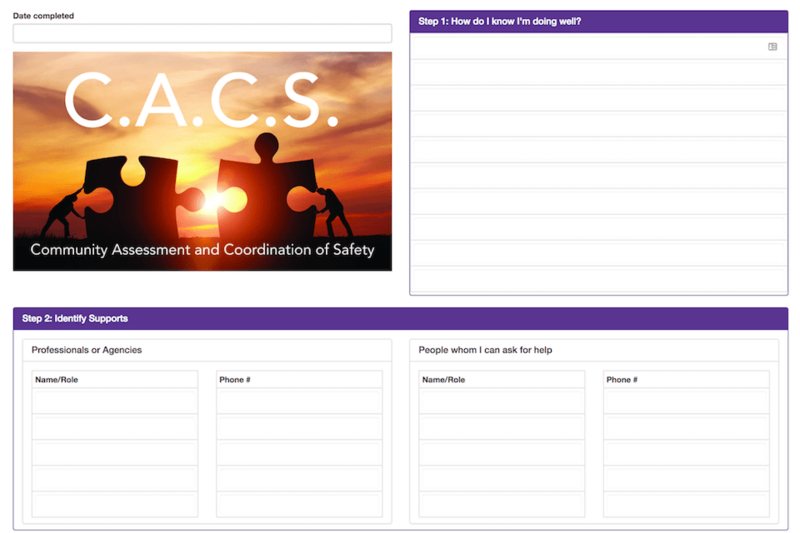 This safety plan template is a blending of a discharge summary from hospital level of care, crisis response, and SAMHSA's Wellness Recovery Action Plan (WRAP). 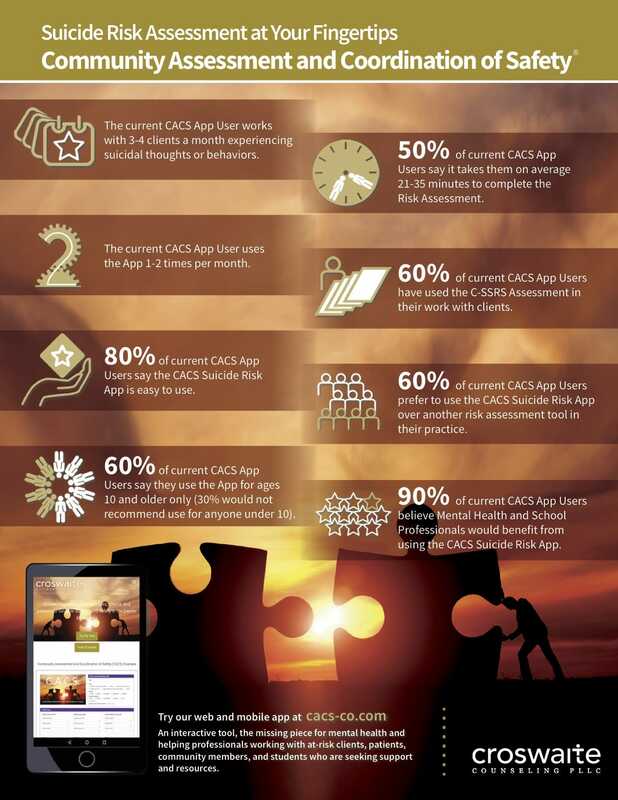 "The CACS App it is a helpful tool that trains a clinician in conducting suicide assessments and is a great self-supervision tool." - Kat Middendall, LCSW, Director of A Peaceful Life Counseling Services, Lakewood, CO.